Defining himself as a sculptor-draughtsman, Pierre Marie Lejeune has developed a repertoire of forms which, permeating his entire oeuvre, resemble the characters of an imaginary alphabet in permanent progress. His media of choice include metal (steel, stainless steel and brass), glass, mirror, water and light, which he prefers to use in their natural states, refraining from drastic intervention. This results in formally rigorous and refined pieces which develop an intimate relationship with their environments through their reflections in the mirror-finish surfaces. 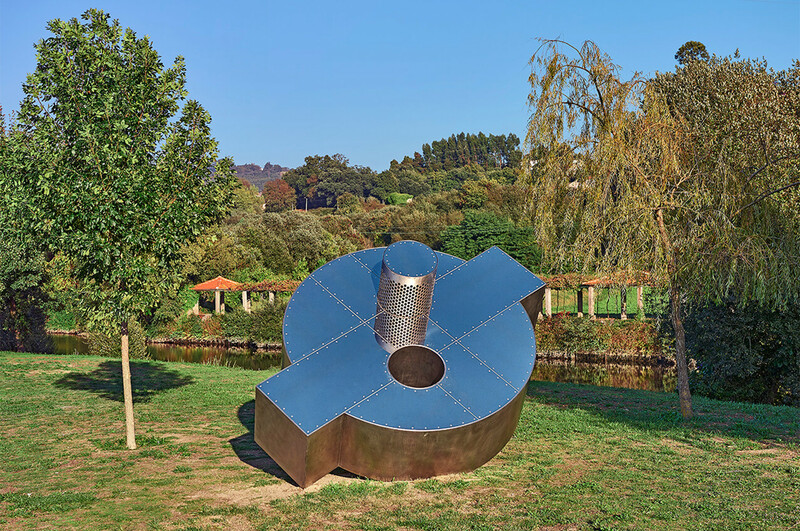 Not only to be looked at and admired, these sculptures also engage the thoughts of the public, due to their purpose and use (some of them may be taken for urban fixtures), as well as to the playful reverberation of their reflections. A multifaceted artist with diversified interests, Lejeune’s practice is not limited to the traditional field of sculpture, but extends to design and furniture making.